Looking for the best (must-have) WordPress plugins for 2018? We’ve got you covered! As I’m writing this, there are more than 42,000 plugins in the official plugin directory at WordPress.org, and who know how many premium plugins. So there’s surely a lot to choose from. However, as you’d imagine, you only need a small representation of those plugins to run a successful and optimized WordPress site. If you run an e-commerce site, you know that finding a plugin to help increase conversions can be a challenge. Proven might be the easiest to use plugin that can help you do just that. It leverages social proof by displaying recent customer activity on your site. It integrates with Easy Digital Downloads, Woocommerce, and MailChimp. This is a drag-and-drop content builder – the best free such plugin on the market right now. Use it to craft post and page layouts that were previously not possible to achieve with your current theme. Certainly a must-have plugin in this day and age. The most feature-rich shortcodes plugin out there that’s free. It gives you access to non-standard content blocks and site elements through easy-to-use shortcodes. Use this plugin to enable Disqus on your WordPress site. This is a replacement for WordPress’ default commenting system. Disqus is much more user-friendly and better-looking overall. 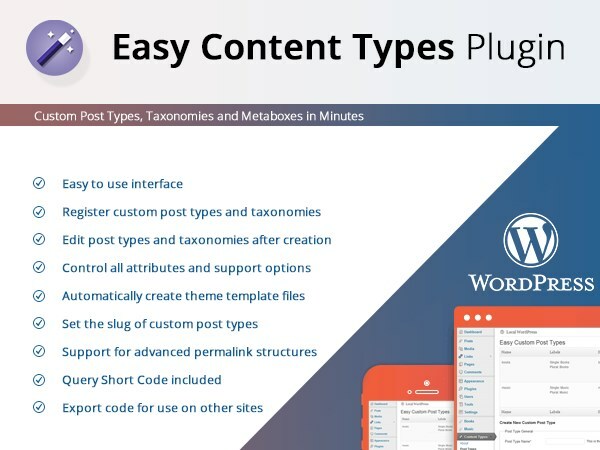 Must-have plugin if you want to start using custom post types on your WordPress site. No coding skills required. 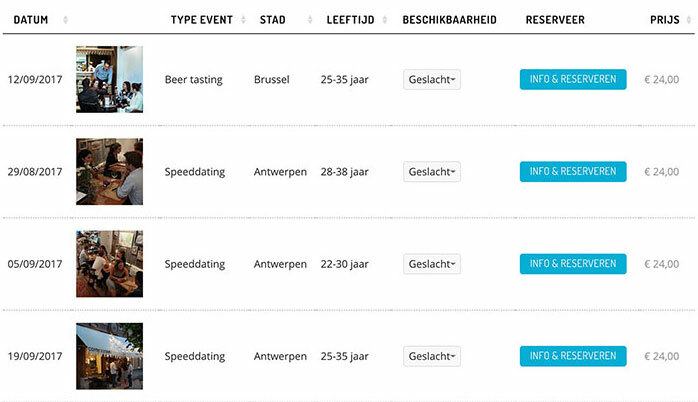 You can set your new content types through the plugin’s interface in the wp-admin. One thing that’s missing in the default installation of WordPress is classic HTML tables. This plugin gives you a way to create them in a user-friendly and functional way. Plus, it’s free. Probably the most powerful and easiest-to-use gallery plugin for WordPress out there. It has a drag-and-drop gallery builder (photo and video galleries available). There are pre-built gallery templates, and everything is responsive and mobile-friendly. Great plugin for creating what’s called “mega menus” in WordPress. Basically, a mega menu is a large menu that features a custom layout and contains multiple different elements (not only links). Perfect must-have WordPress plugin for sites that offer their visitors a lot of content. Great email marketing plugin for tracking your leads. It will help you better understand your audience and their behavior by showing you their actions on the site. Leadin even lets you know through which of your opt-in forms the visitor subscribed to your email list. Optimole is a free plugin that compresses and optimizes all your images on autopilot, without affecting their quality. Install it on your site, turn it on, and it just does all the work for you. The plugin uses lossless and lossy optimization techniques and comes integrated with a CDN service, which will reduce your site’s loading times on all devices. Moreover, you can track the stats and progress via a modern and friendly dashboard. Setting all the boring technical details aside, caching is the ultimate method of making your WordPress site load faster. W3 stores the already executed static image of your site, rather than forcing WordPress to generate it on the fly. Highly recommended must-have plugin. Works on its default settings. This plugin optimizes your images – makes them consume less disk space – without having any impact on the visible quality of the images. In other words, you get a faster site and more optimized images … for free. This is a must-have WordPress plugin that keeps your other plugins in check, and makes sure that they’re not causing your site to load slowly. Enable P3 every once in a while, do a scan, and then remove every plugin that is slow (or find quicker alternatives). Use this plugin to clean up your WordPress database – get rid of all the duplicate, unused, orphaned, and temporary data that’s cluttering your database. Great plugin for some spring cleaning every X weeks. This must-have WordPress plugin gives you enterprise-level security for free. It keeps track of everything that’s going on on your site, and alerts you whenever anything shady takes place. In short, it protects your WordPress site from being hacked. Security toolset for your WordPress site. It provides you with various security settings, malware scanner, and a range of security mechanisms to harden your site and protect it from common attackers and other threats lurking on the web. Backing up is potentially the #1 most important thing you can do to make sure that your website is always recoverable, no matter what tragedy strikes. This must-have plugin takes care of that for you automatically. Set it to back up your site every day and then store those backups in your Dropbox account. Yoast SEO is in the top 3 most popular WordPress plugins of all time. And its popularity isn’t accidental. Quite frankly, if you want to make sure that your site is optimized for the search engines, you need this must-have WordPress plugin. Easy setup, top-of-the-line functionality. Redirect your visitors to other pages on your site. Great if you noticed another webmaster linking by accident to a 404 page on your site. Set a redirection from that missing URL to an existing one. Google doesn’t like to stumble upon broken links on your site. This must-have plugin helps you identify and then remove those links. It checks your posts, pages, and even comments. Rich snippets are those short good-looking summaries of pages in the search results of Google. This plugin gives you an easy way of making your site compatible with those rich snippets. This WordPress plugin takes a random post from your archives and shares it on Twitter, Facebook, and LinkedIn. The process repeats itself every X hours. Works on autopilot. Great for keeping your content afloat in the interwebs. This plugin tracks your content’s performance across popular social media platforms. You get a dashboard where you can see the number of shares your posts have reached. This gives you a great overview of what’s popular and what can be improved. Great all-in-one online marketing tool. It can be integrated with any website system (not just WordPress), and it gives you myriads of useful features, like: opt-in forms, welcome mats, analytics modules, social media buttons and sharing mechanisms, even contact forms. In a sentence, this must-have plugin makes your WordPress site mobile-friendly (and touch-screen-friendly) with just a few clicks, regardless of your current WordPress theme’s structure. Great analytics plugin if you don’t want to use Google Analytics or any other third-party analytics tool. This plugin keeps everything within your WordPress site, and it provides you with all the analytics features you might need. One of the most popular WordPress plugins of them all, and a must-have on most WordPress sites. This is a work-horse plugin providing a multitude of different features. Chief of which, it connects your site to WordPress.com for traffic and customization tools, enhanced security, and speed optimization. Jetpack also has contact form functionality built in, but if you are looking for more options checkout the 12 best contact form plugins for WordPress. What else is there? What should be added to the list of must-have WordPress plugins for 2018? Feel free to share in the comments. Also, don’t forget to check out our list of 5 marketing tools to use on your WordPress site – they should complement these plugins quite nicely. Thank you for mentioning Envira Gallery. I really appreciate it. You’re very welcome. It’s a great plugin. i prefer “Google XML Sitemap” and disabled Sitemaps option in Yoast SEO. What you think about iThemes Security instead of Wordfence? I tested both an iThemes looks and works better. You guys need to try SEO post content links because i am now a successful blogger all thanks to this plugin. It helps to increase the number of visitors that visits your page. Amazing Blog post and collection of WordPress Plugin is a really useful. I would like to add one more WordPress Plugin Blog Designer to designer Blog page easily. My must have wordpress plugin is backup&restore amazon s3 which offers me free amazon s3 backup,backup&restoration of big files, and local backup of my files. Backup&restore Amazon s3 is one of the must have plugin that i use. It’s easy and fun to use. P3 Profiler plugin helps to find the plugin which are heavy weight and eating a lot of resources of your server. Thank you so much for mentioning our free schema plugin “All in one schema rich snippets”. We really appreciate it. Good news is that we have come up with many advanced features with “Schema Pro”.